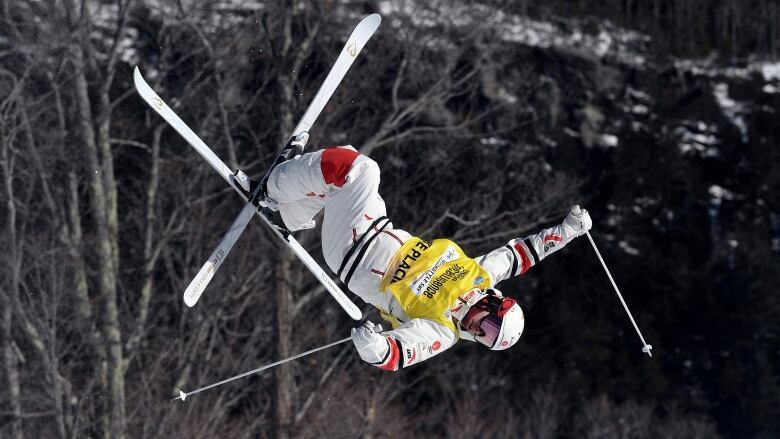 Mikael Kingsbury's perfect start to the moguls season finally came to an end on Friday. The Canadian settled for fifth in a World Cup event, marking the first time in five starts Kingsbury, 26, did not finish on top of the podium. Mikael Kingsbury's perfect start to the moguls season finally came to an end on Friday. "I had a perfect season so far, so it's a little difficult to accept," Kingsbury said. "But I'm going to do better next week in Tremblant." "I skied well on my first two runs, but in the super final I tried to go a little too big on the top jump and made a stupid mistake," said Kingsbury. France's Benjamin Cavet (84.83 points) took gold, Sweden's Walter Wallberg (81.47) was second and Australia's Matt Graham (80.94) was third. On the women's side, Canada also had two top-10 finishers. Chloe Dufour-Lapointe of Montreal was seventh and Sofiane Gagnon of Whistler, B.C., was eighth. "It was a good day in some ways, not so good in others," Dufour-Lapointe said. "I worked on some things this week, especially on corks, but today the mix wasn't quite right."